 Located in the Pirate's Cove Resort in Manteo, NC, this stunning canal front, non-smoking, and pet free condo has 1.5 Bedrooms, 1 Bath. It is a Saturday turn-day and accommodates 6 people. This is an end unit, near the Community pool, tennis courts, clubhouse, and 35' of dock space located at Buccaneer Canal #8. Covered parking for car, boat or jet ski trailer is located under the building. Master bedroom with King bed and door leading to covered deck with furniture, alcove with bunk set, and queen sleep sofa in living area, along with 2 TVs, 1 VCR, 2 DVD players, stereo with CD player, wireless internet, board games, tennis racquets and parking for 2 vehicles maximum.